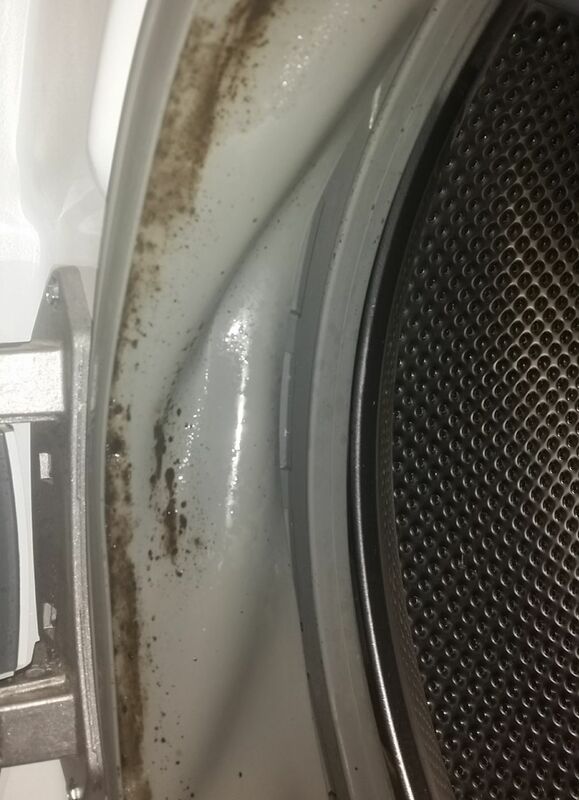 Front-loading washing machines are notorious for developing mold. 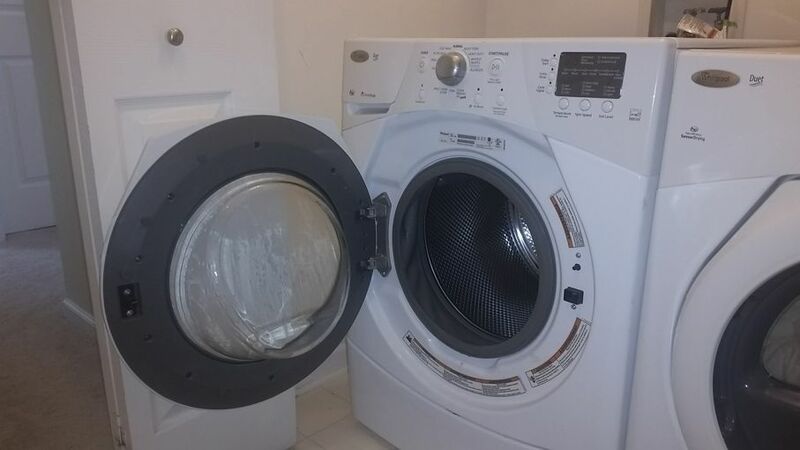 Remedy your washer now before mold totally ruins it. I hadn’t cleaned my laundry room (or should I say “closet”) in a while, and since we’re putting our house up for sale, today was as good a day as any to give it a deep clean. "Easy peasy," I thought. "Just a little scrubbing and I’ll be onto the next cleaning project." Nope. Not even close. 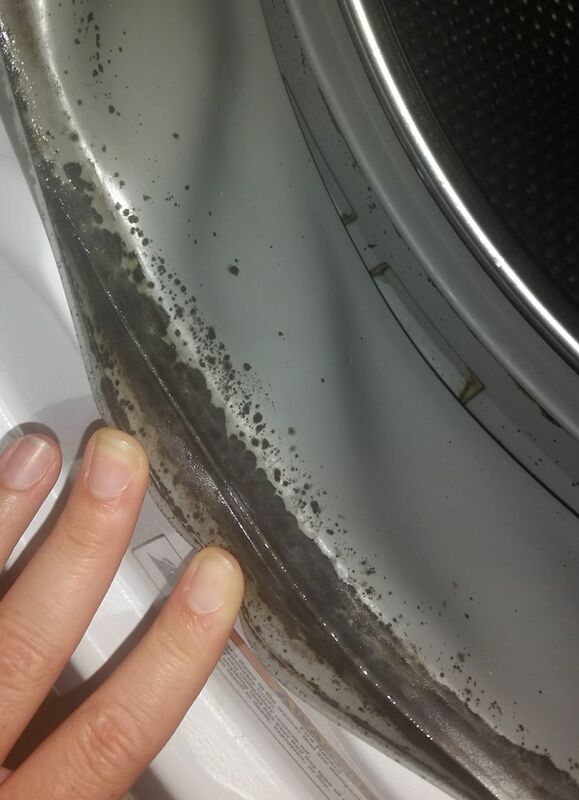 Upon a quick inspection, I realized that the entire rubber ring on my washing machine was covered in mold. And that mold explains so much. It explains why my husband always tells me his shirts smell funky, and why my towels quickly lose their freshness. Why didn’t I make the connection sooner? 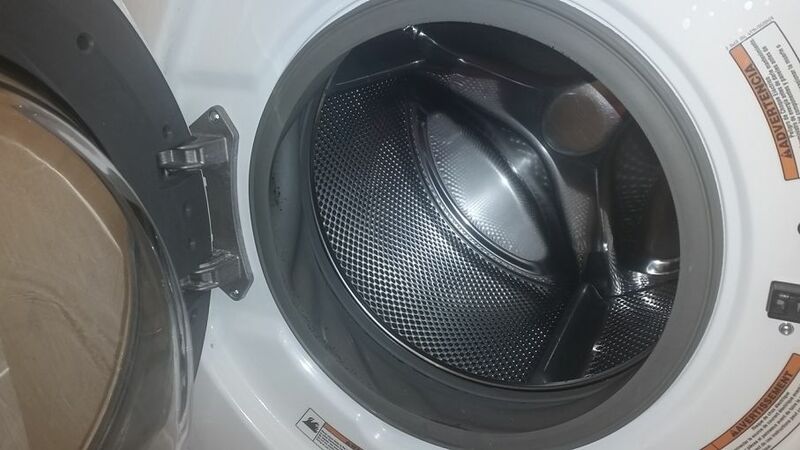 It’s hard to wrap your head around the idea that a machine designed to clean your clothes can be a mold and mildew trap, but it’s a real problem for anyone with a front-load washing machine that has a rubber ring. Thankfully, there are a few simple steps you can take to help eliminate the problem for good. 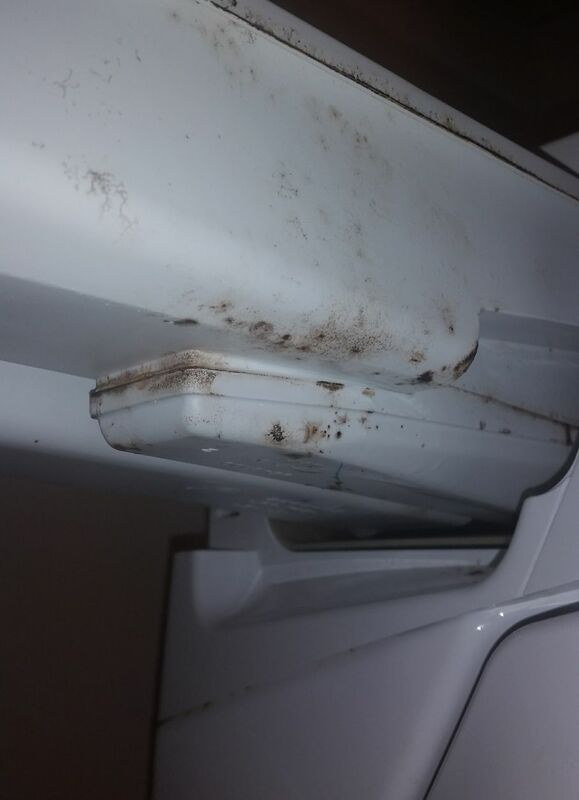 Here’s what you should do if you discover mold in your washing machine. Start the remediation by figuring out exactly where mold is growing. 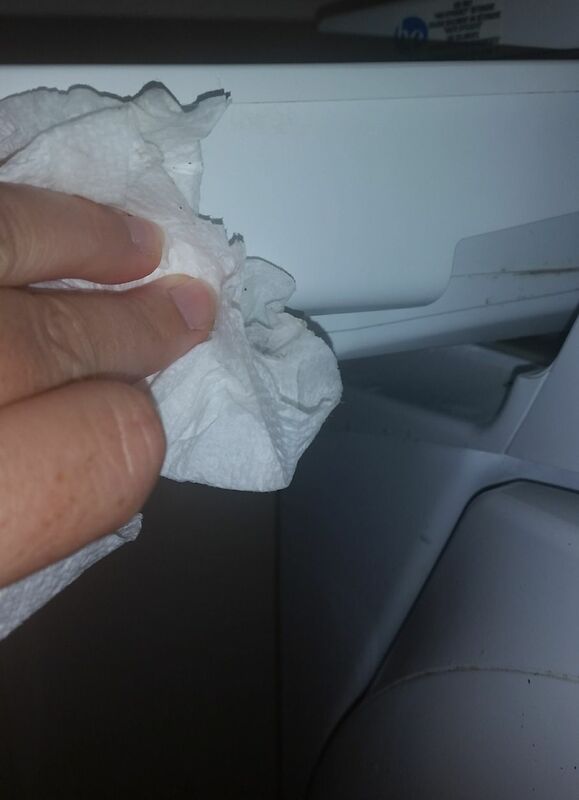 Next, take paper towels or a clean rag and run it over the entire rubber ring at the front of your washer. Make sure you use just the right amount of pressure to avoid puncturing the rubber or pushing it out of place. Any thick, caked-on mold should lift off with a simple wipe. For the detergent dish, remove it (if possible), submerge it in warm water, and scrub thoroughly. If it’s hard to remove, pull it out as far as it goes, spray it with warm water, and wipe it down. You’ve heard us sing the praises of white distilled vinegar before, and this situation is no different. Before you start dousing your washing machine with a harsh chemical, try vinegar first. 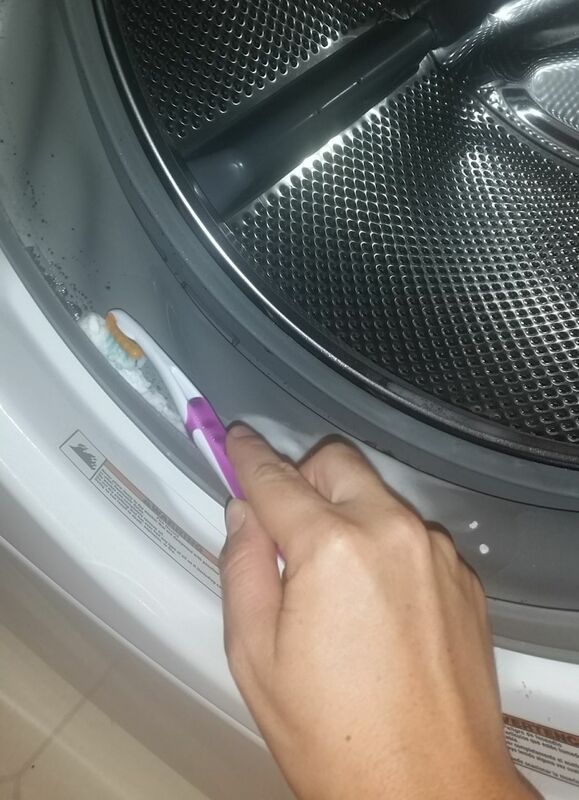 Take an old toothbrush, dip it in a mixture of vinegar and baking soda, and then scrub the entire rubber ring inside and out. Circular motions work best to remove any stubborn mold and mildew stains. 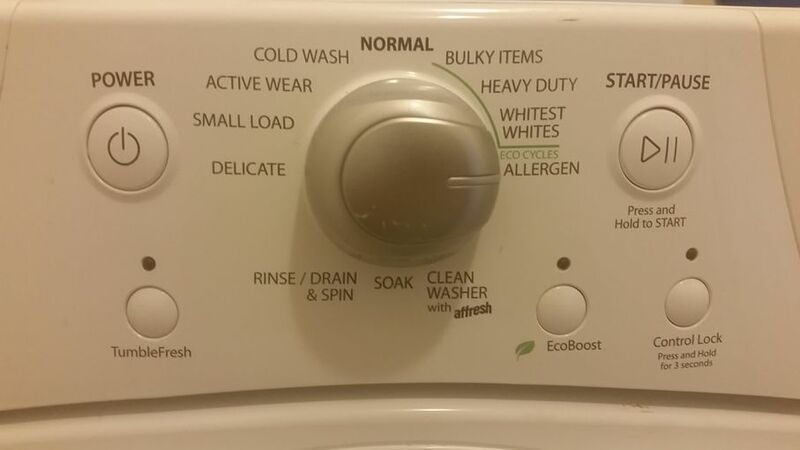 Every washing machine has different settings, but most modern front-load washers have a “sanitation” option. For my machine, it’s labeled “Allergen” but I’ve also seen “Sanitary” and other similar names. If you’re in doubt, choose the wash cycle with the longest time at the highest temperature. 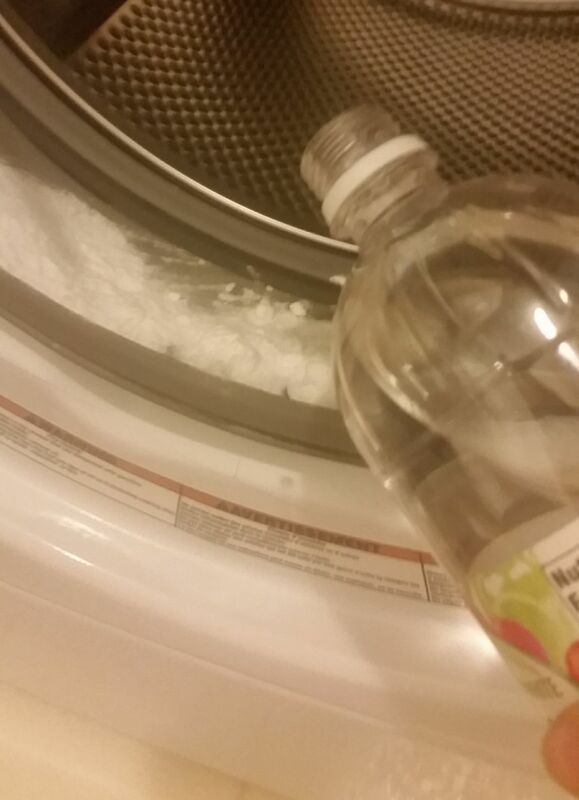 Add a half-cup to 1 cup of bleach, depending on how much your machine holds, to your detergent dish. 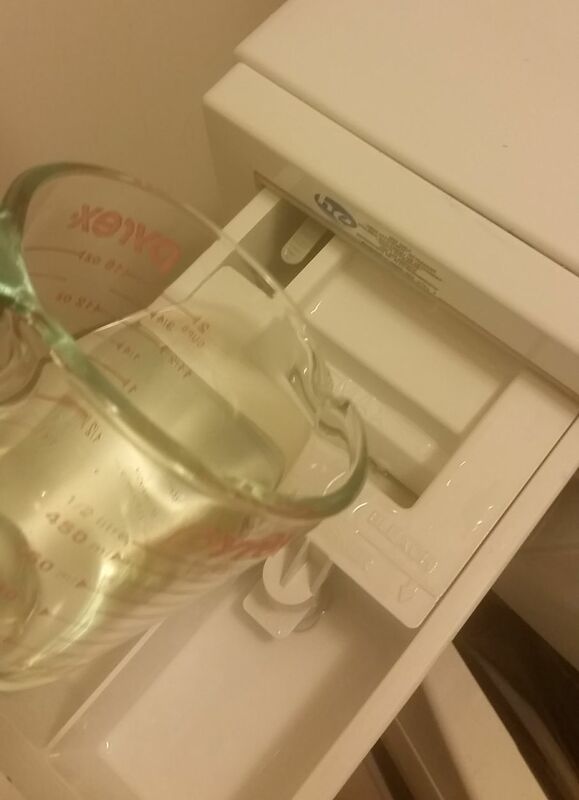 Use the bleach tray if your washer has one. 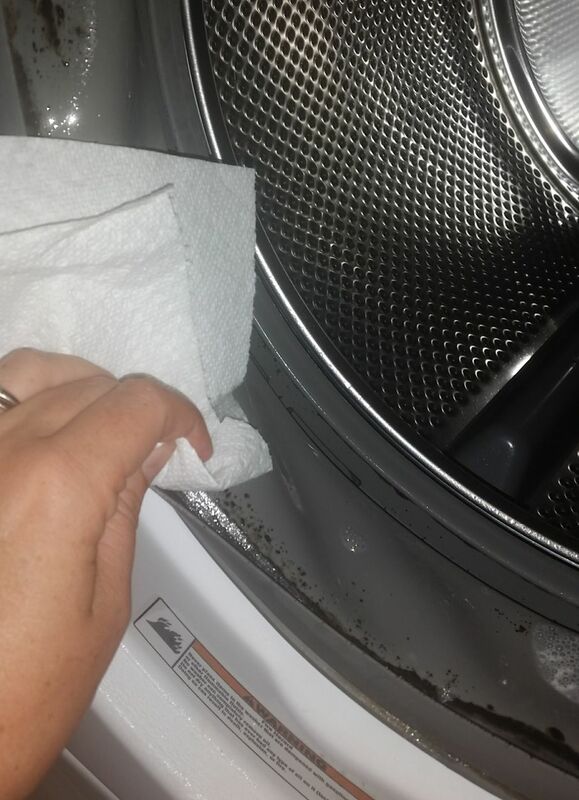 After the cycle is complete (anywhere from 75-90+ minutes), open the door and wipe down the rubber ring another time. There’s a chance the mold won’t completely go away with a single wash. In fact, you may have to go through this entire process two or three times to get a good handle on the mold and mildew. The mold stains may stick around, but as long as the spores are inactive, you should be OK.
● Leave the door open in-between washes so it can air-dry. ● Run a sanitation cycle with bleach once every 1-2 weeks. ● Don’t allow your clothes to sit in the washer overnight. Always promptly remove them from the washer. Yes, mold and mildew happen, but that doesn’t mean you have to toss your washing machine. Just bust out your vinegar, grab a cup of bleach, and get to work. You’ll thank yourself the next time you reach for a bath towel and it smells fresh, not funky.